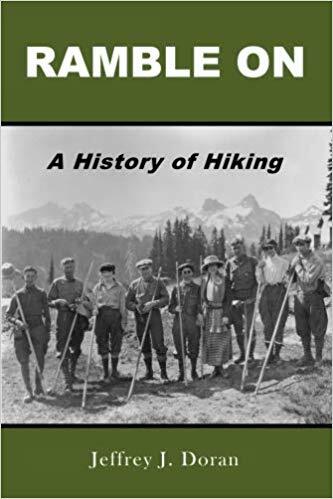 The Smoky Mountain Hiking Blog: Anne's Travels Take on "Ramble On: A History of Hiking"
Anne's Travels Take on "Ramble On: A History of Hiking"
Earlier this week Anne Whiting, the author of Anne's Travels, published a review of my new book, Ramble On: A History of Hiking. Ms. Whiting, the author of three state-wide trail guides, is also the author of Anne's Travels, a blog that covers her hiking adventures across America. In fact, the blog is a very rich database chronicling hundreds of her hikes that are sorted by state. This is a great resource if you're heading to a new hiking destination and you want to find out what the best hikes are in order to make the most of your trip. Anne concluded her review by stating: "Overall, I was very impressed with the amount of information packed into 206 pages.... It’s the perfect gift for someone who loves to hike or who loves American history. Or purchase it for yourself to immerse yourself in the history of hiking in America."